You'd be shaking your head in disbelieve... if I tell you that we have just started using our rotisserie kit on the barbecue after 3 years.... 3 years, it was kept in the garage... 3 years of laziness to learn how to use one!!!! 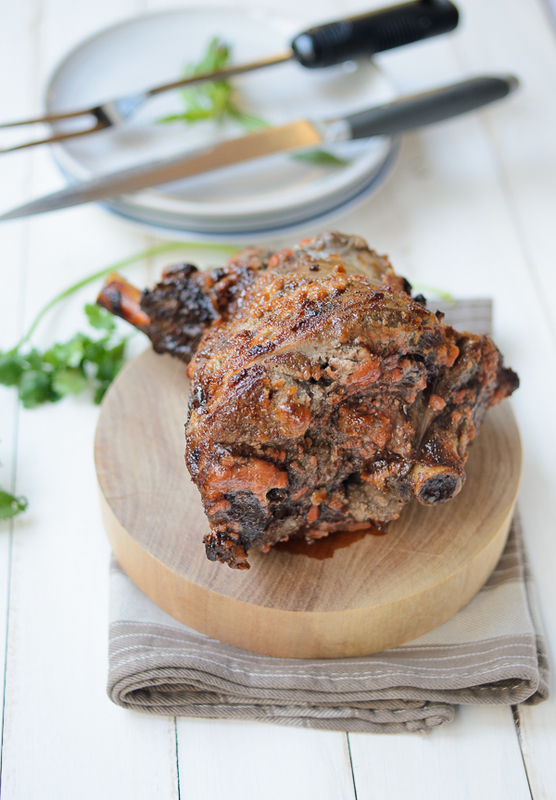 Thanks to The Food of India cookbook, I find that this Memsahib's rotisserie leg of lamb is the tastiest. This is my second time using the same recipe, and my first cooking on rotisserie. 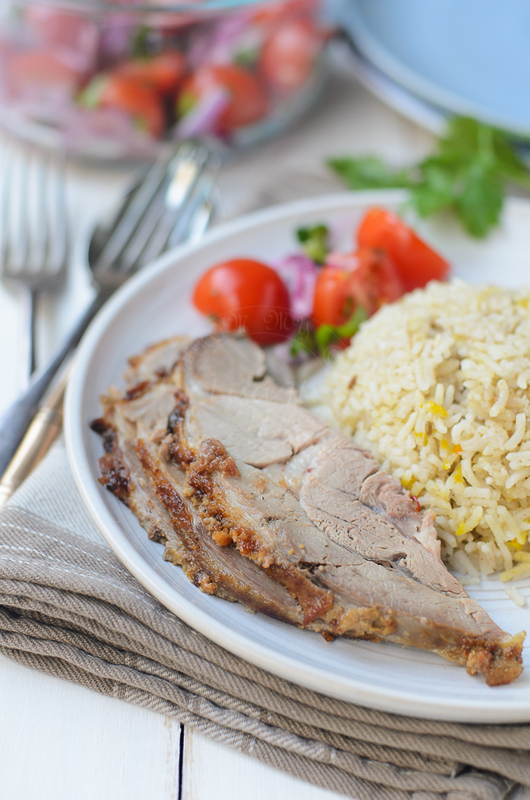 and serve this delicious, juicy Memsahib's lamb... with yoghurt rice and raita. grind cardamom, cumin seeds, cloves in spice grinder. Put onion, garlic, ginger and chillies into food processor and processed into a paste. Add ground spices, onion paste, yoghurt and lemon juice into a bowl, mix well. Place in zip-lock bag and refrigerate overnight. mix almond meal with yoghurt, sugar and red food colouring into a smooth paste. Fire up the rotisserie (I am using bbq). 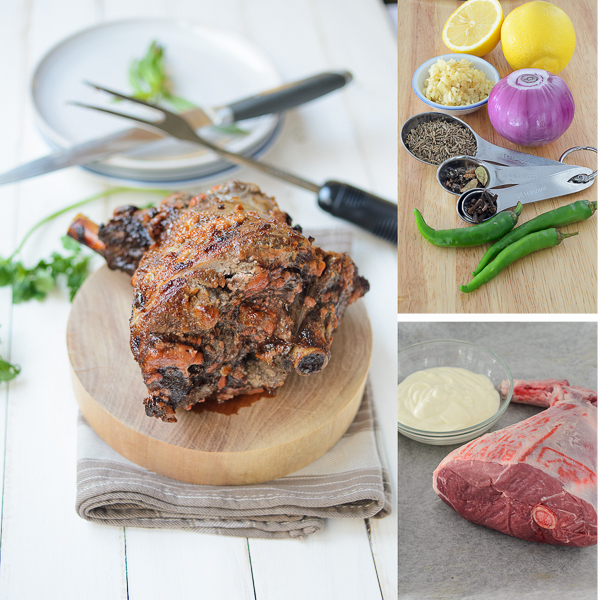 Take leg of lamb out from the fridge few hours before cooking. Set the lamb on the rotisserie set. Coat generously with almond meal mix. Cook for 1 1/2 hours on medium heat, or until cook. Leave it to rest for 15 minutes. Slice and serve immediately with yoghurt rice. Wash and strain basmati rice. Salute onion in 2 tablespoon of canola oil until golden in colour. 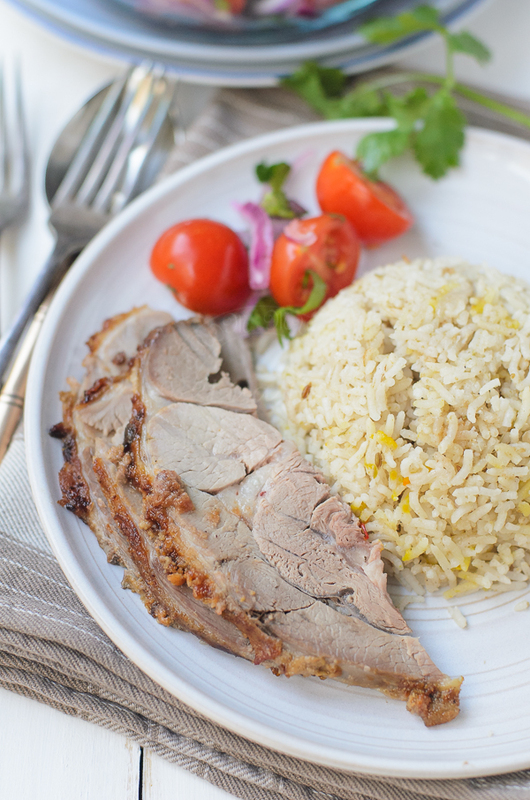 Place basmati rice in rice cooker. In a jug, mix yoghurt, water and left over lamb juice. Pour yoghurt mix into rice cooker. Cook as per rice cooker's manufacturer instruction. A scrumptious meal! So many great flavours going on in there. Well, I don't even own a bbq :-) This looks droolworthy and great shots, Lisa.